Enriched with an ultra-care hydrating formula, Maybelline Color Show Lipstick gives your lips all day hydration.They are anti-oxidant and heat resistant, which guarantees color integrity that does not fade even in extreme heat and humidity. About Maybelline New York: From a small, family-owned business to the number one cosmetics company in America today, Maybelline New York takes trends from the catwalk to the sidewalk, empowering women to make a statement, explore new looks, and flaunt their own creativity and individuality. Inspired by confident, accomplished women, Maybelline gives you scientifically-advanced formulas, revolutionary textures and up-to-theminute, trendsetting shades effortlessly, affordably, beautifully. 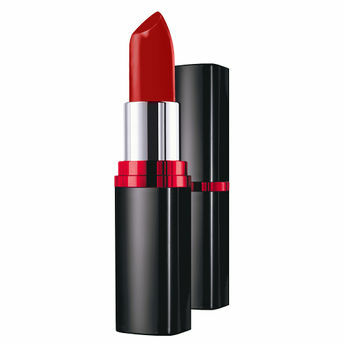 Explore the entire range of Lipstick available on Nykaa. Shop more Maybelline New York products here.You can browse through the complete world of Maybelline New York Lipstick .